While never the household name that Herbie Mann and Dave Valentin have been, this Brooklyn-born jazz flutist and innovator was making influential recordings back in the ’60s — both as a trombonist with Eddie Palmieri & His Conjunto La Perfecta, and with his own first solo recording, Cuban Roots. That album introduced the Latin jazz community to the concept of post-bebop performed with traditional Afro-Cuban drumming. 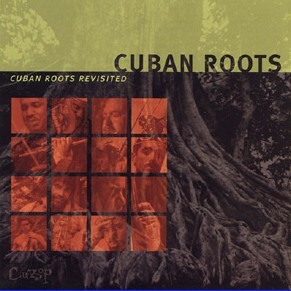 Compelling, quirky and seductive, the polyrhythmic Algo Más offers a swirl of Mark Weinstein’s peppery improvisations, crisp electric guitar by Jean-Paul Bourelly (“Vientos de Oya” is a particular highlight), the steady drumming of Pedro Martinez (who also vocalizes brilliantly) and several masters of Cuban percussion. Tunes like “Aguas de Ochun” swing gently into Afro-Cuban territory, while “Mamita Dances” dances amidst various percussion patterns and high and low flute harmonies and melodies. The repertoire borrows mostly from Afro-Cuban religious traditions and from popular street rumbas, and the execution is both organic and authentic, bringing the listener to the musical and spiritual soul of Cuba.